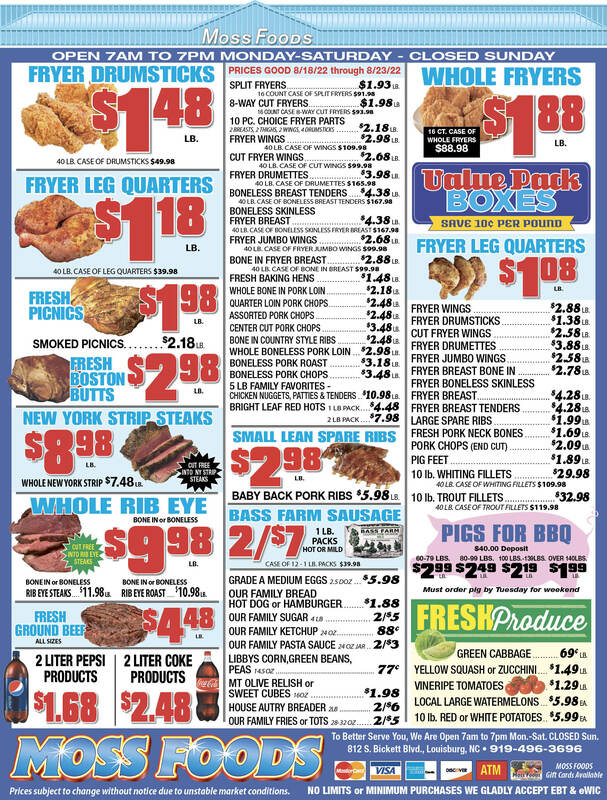 Showing 39 articles from January 22, 2014. AN EARFUL. 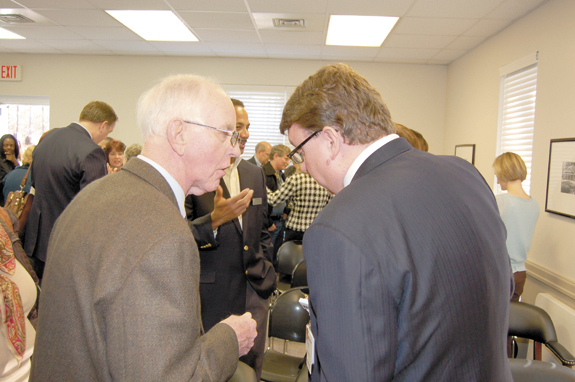 Louisburg Mayor Karl Pernell (left) huddles with Franklin Medical Center President Jody Morris. YOUNGSVILLE — Members of a standing-room-only crowd that filled a conference room, crowded a hallway and spilled outside of the Youngsville library took their turns arguing for or against Novant Health’s proposal to open a two-operating room surgery center in the outskirts of town. Representatives from the town of Louisburg and area hospitals that oppose the move were outnumbered about five to one. FRANKLINTON — As folks gathered inside First Baptist Church to recognize the life and legacy of Martin Luther King Jr., Joe Cutchins wondered why the town and county has failed to take that recognition beyond those four walls. As he welcomed visitors to the church to remember the slain civil rights leader, he lamented the fact that no where in the county is there a road or any marker recognizing King’s impact. 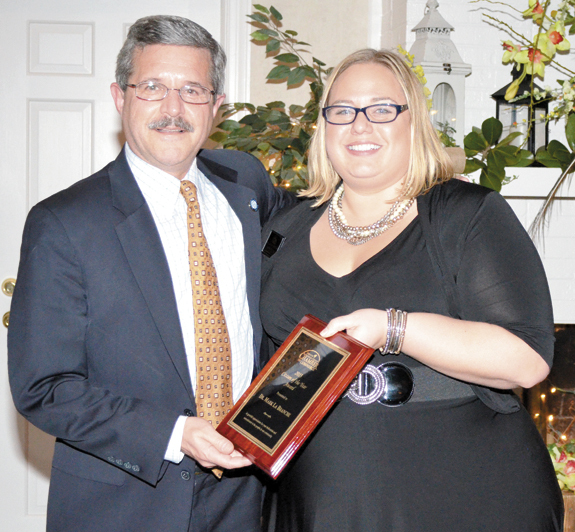 LOUISBURG — When Dr. Mark La Branche took over Louisburg College in 2008, he was looking to move the college into greener pastures. 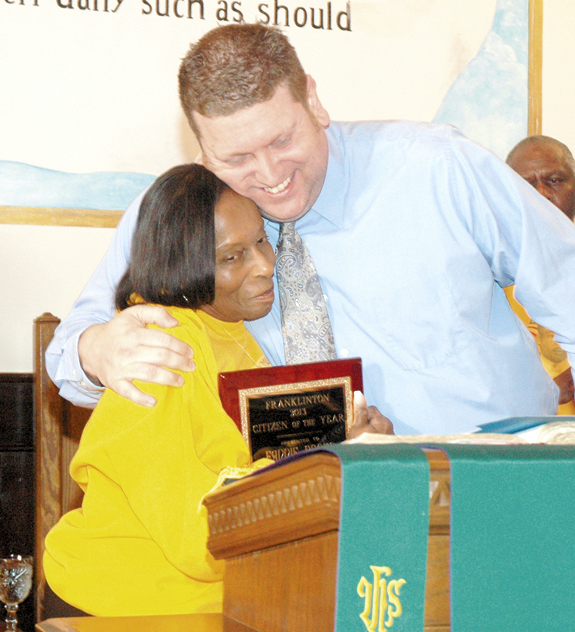 That journey and his leadership and community service has led the two-year Methodist-affiliated into prosperity. His footprints, though, haven’t just been on the college’s campus. LOUISBURG — County Manager Angela Harris responded to questions about her decision to burn historic documents with an eight-page letter. Members of the Franklin County Heritage Society said it doesn’t say enough. While Harris’ letter recaps the events — some of which they point out discrepancies — it doesn’t explain her actions. Is push for ‘convenience’ hastening our doom? Have we humans lost our instinct for self preservation? Is it possible that we’ve become so blinded by modern “conveniences” that we’re looking the other way as we inevitably threaten our own existence? It seems almost inconceivable, but how else do you explain our collective willingness to destroy the very natural elements that are essential for our survival? The free ride that we Tar Heels have been enjoying every time we click “buy” on Amazon is coming to an end on Feb. 1. Beginning on that date, North Carolina will become the 20th state where the online retailer will be collecting sales tax on purchases. Amazon isn’t saying why it suddenly decided to start collecting sales tax here — or even, why now. Over the last few days, I was reminded of the great Chris Rock. “You know what’s sad? Martin Luther King stood for non violence. Now, what’s Martin Luther King? A street. Franklin County government: happy, happy, happy or not? The “cold war” between elected leadership, county executives and many citizens in Franklin County continues to heat up. 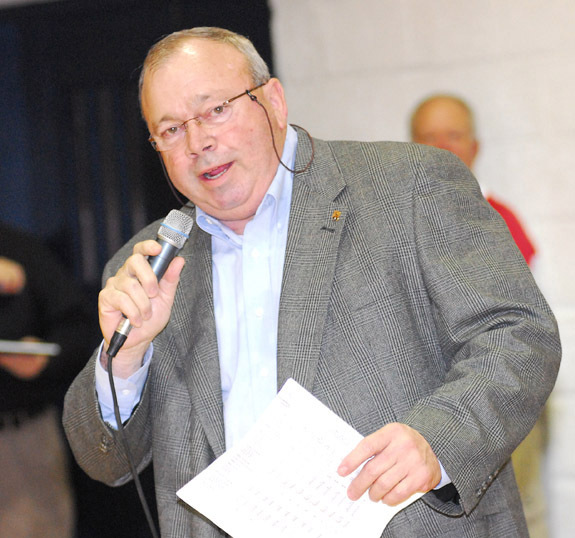 Citizens call for the resignation of the County Manager and what happens? The word is she will be appointed as the interim county financial director. 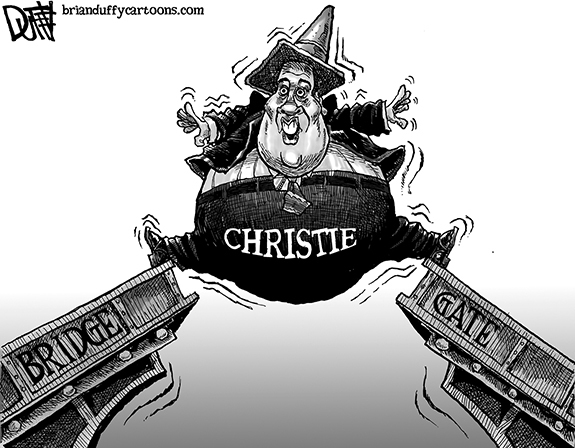 This gives the impression she will have more responsibility and be given greater authority. The radical Republicans in Raleigh don’t want certain groups to vote, especially African-Americans. Via their 2011 gerrymandering, they managed to decrease Democratic representation in the House of Representatives by segregating the African-American population into a few Congressional districts. Now they are leaving one of those districts without a representative until November. My family has roots in western NC and I am a degreed, though amateur, historian. It was beyond painful to read that historical court records dating to the early 19th century were so callously destroyed by Franklin County officials. Civil War Trail should tell both sides! I am proud to have lived and grown up here in Franklin County. I have enjoyed The Franklin Times for many years, but there are two sides to this so-called Civil War Trails story on your Franklin Times front page, Jan. 9. For the past several years Oxford native Leslie Johnson has taught portrait painting in oils at Vance-Granville Community College through the Personal Enrichment Program. I took the class during the fall semester and watched my grandson’s face come to life with my brush strokes. FRANKLINTON — John L. Reardon, Jr., 85, died Thursday night, Jan. 16, 2014 in Bradenton, Fla. A funeral mass was held 2:30 pm Tuesday at Our Lady of the Rosary Catholic Church, 460 Fox Park Rd., Louisburg. The family received friends Tuesday, 1–2 p.m., prior to the service at Strickland Funeral Home, 103 W. Franklin St., Louisburg. RALEIGH - Funeral services for Lurnder “Randa” Johnson, 89, who died Sunday, Jan. 19, 2014, will be held at 12 p.m. Saturday, Jan. 25, at Allen Chapel Baptist Church, with the Rev. Stanley Dunston officiating. TRULY A JOB WELL DONE. 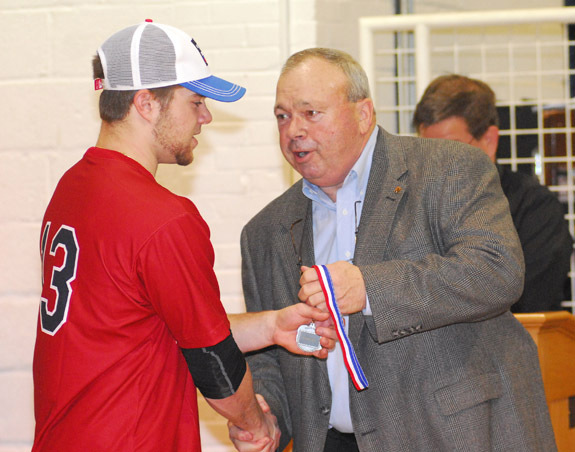 Nash County resident Thomas Winstead (right) served as the keynote speaker and also handed out medals during last Wednesday night’s annual Louisburg College Student-Athlete Awards Ceremony. LOUISBURG -- While helping build homes to supplement his income as a teenager, Thomas Winstead learned the true value of a solid foundation. “If the foundation of the house is just a little off, it’s not going to be right,’’ Winstead said. That’s a lesson Winstead conveyed to a captive audience last Wednesday at the Louisburg College Scholar-Athlete Awards Ceremony. OUTNUMBERED. 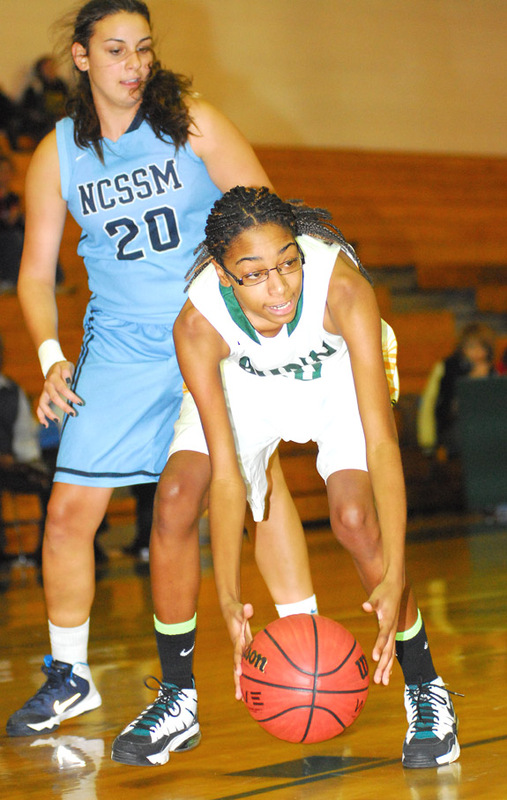 Bunn’s Tainasha Vines (left) and Precious Walker (right) team up for a steal off the full-court press during last Friday night’s home basketball victory against North Carolina School of Science and Math. 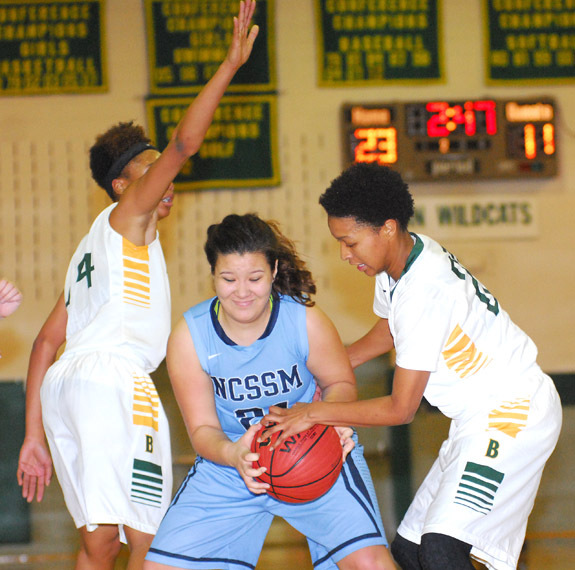 BUNN - After an uncharacteristic league loss to Southern Vance, it hasn’t taken long for the Bunn Ladycats to re-establish their dominance in the Northern Carolina Conference girls basketball standings. Since that setback, the Ladycats have reeled off two consecutive victories, including a 60-43 home decision last Friday night against North Carolina School of Science and Math. DEUCE FOR DESHAWN. Bunn’s Deshawn High drains a jumper during last Friday night’s home hoops victory against North Carolina School of Science and Math. BUNN -- Deshawn High’s offensive mastery is almost such a guarantee that Bunn’s upcoming boys basketball opponents might be best serve to let High deliver his usual heroics -- and concentrate on stopping the rest of BHS’ roster. With that in mind, Bunn coach Gerald Melton would love to develop more consistent secondary scoring -- an intangible that appears to be coming more into play as the campaign progresses. THE DRIVE HOME. 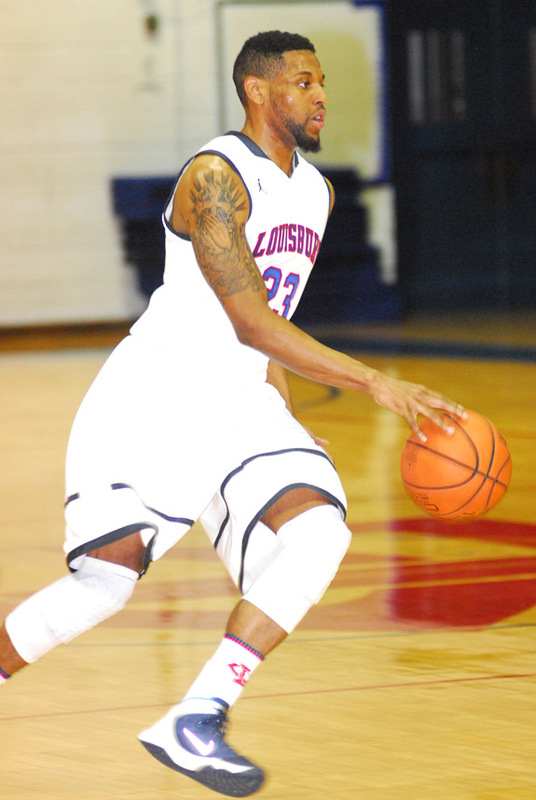 Louisburg College’s Trey Brown dribbles into the lane last Wednesday night against Vance-Granville Community College. 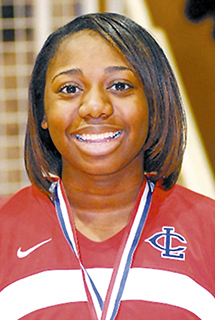 LOUISBURG -- For the Louisburg College Hurricanes to once again claim the Region X Tournament Championship, they may have to overcome a bit more adversity than during their last half-decade of league dominance. That’s because LC will have to succeed without star forward Miles Bowman, who suffered a knee injury during the Holiday Break and will not be available for the rest of the season. ONE-ON-ONE. 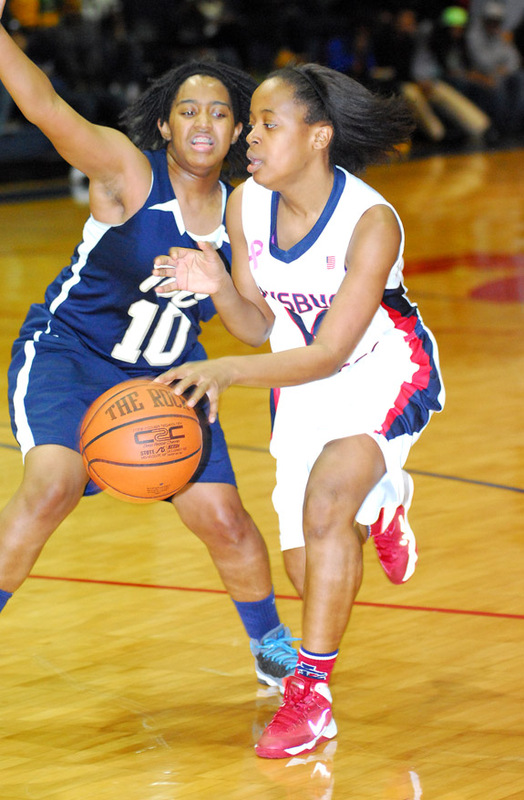 Louisburg College’s Deneysha Goods (right) drives into the lane last Wednesday against Tidewater CC. LOUISBURG -- Certainly, any women’s college basketball coach would love to win every game. 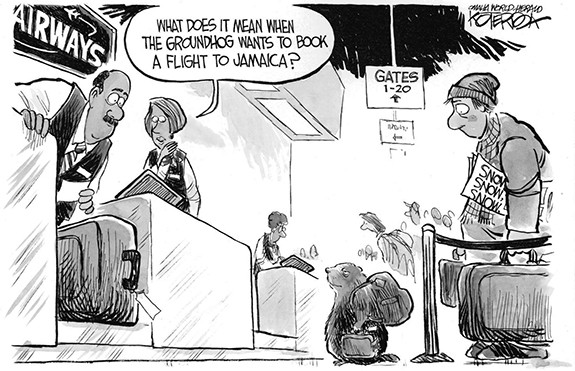 But given a preference, they would certainly choose the now option instead of the later one. After all, contests became much more important -- and with much more at stake -- as the season progresses. Just look at two years ago, when Louisburg College dropped a pair of contests against Patrick Henry -- but topped the Patriots when it mattered most in the Region X Tournament Championship Game. 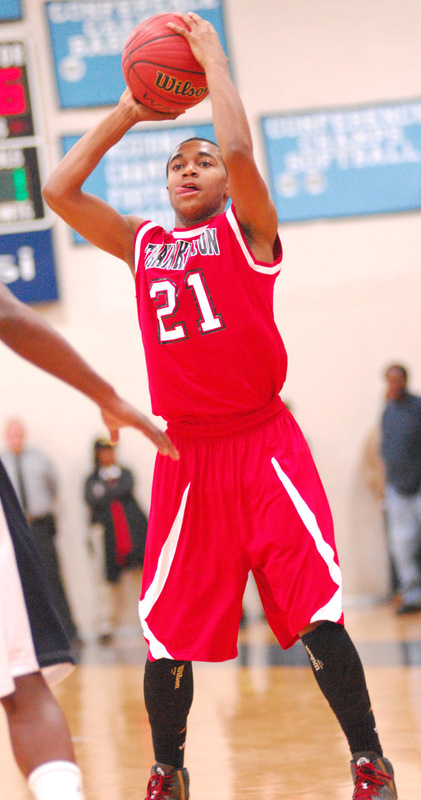 Franklinton at Bunn 6 p.m.
Weldon at Louisburg 6 p.m.
FRANKLINTON -- After a one-week layoff, the Franklinton Red Rams experienced a bit of rust in the first quarter of last Friday’s crucial Northern Carolina Conference home boys basketball matchup with Roanoke Rapids. But the Red Rams quickly got things going and controlled play the rest of the way en route to securing a 54-34 decision over the Jackets at the FHS Gymnasium. FRANKLIN COUNTY -- Recent inclement weather in the area forced the postponement of several sporting events in Franklin County. Louisburg College’s women’s basketball game at home against Brunswick Community College, which was supposed to be held Tuesday, was moved to Feb. 24 at 6 p.m. at Taylor Center. That was the only LC event affected by the weather. RALEIGH -- The Carolina Hurricanes split a pair of weekend National Hockey League home games against teams from the Sunshine State. The “Canes downed the Florida Panthers 3-2 last Saturday as Alexander Semin led the way with two goals. Riley Nash opened the scoring in the second period as he chipped a rebound past Panthers’ goalie Tim Thomas. Louisburg College’s Dazhane Myler appears to be a bit disturbed after the ball slipped through her hands during last Wednesday’s home basketball decision against Tidewater Community College. Bunn’s Jonasha Green slides into the paint for a shot attempt during last Friday’s home win against North Carolina School of Science and Math. 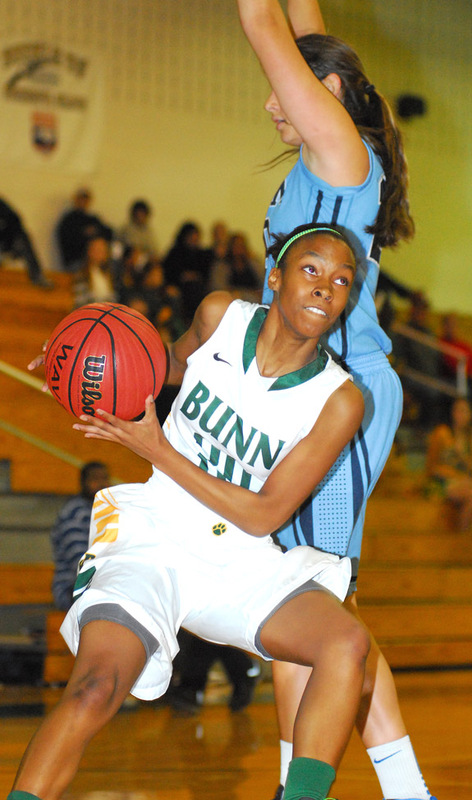 Bunn’s Keira Gallatin looks for a teammate last Friday night. 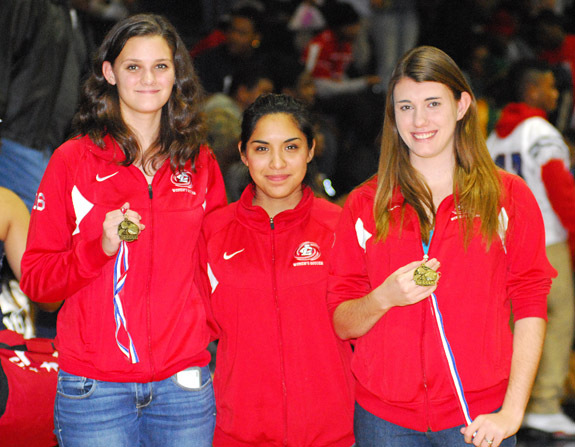 Louisburg High School graduates (l to r) Kelsey Harris, Kenia Roa and Samantha Calvery, now members of the women’s soccer squad at Louisburg College, were presented with medals during last Wednesday night’s ceremony at Taylor Center. 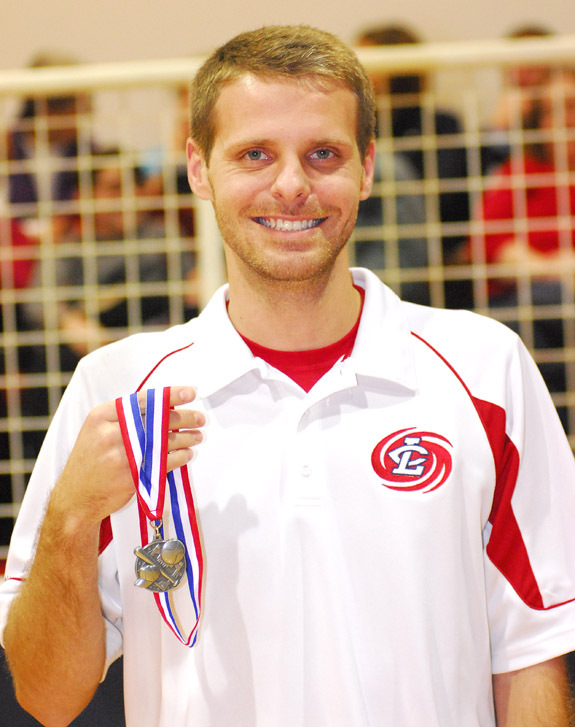 Golfer Justin Stallings, who prepped at Louisburg High School, displays his medal from the Louisburg College Scholar-Athlete Awards Ceremony. 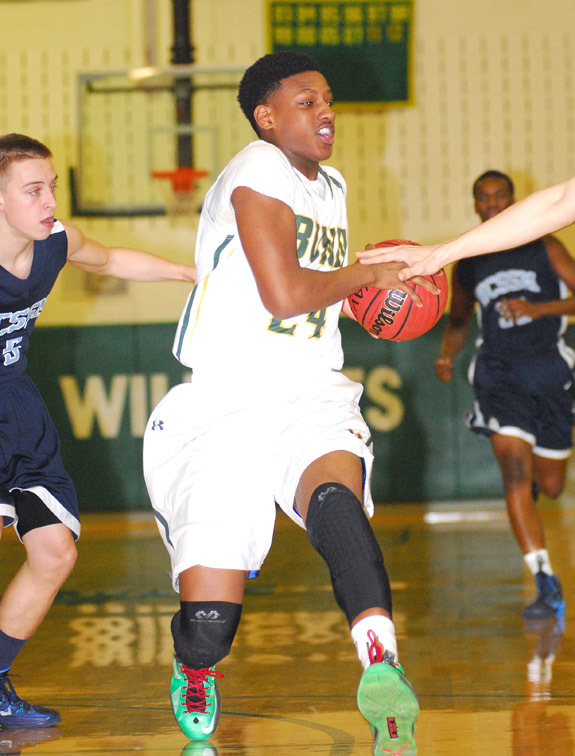 Bunn’s Aaron Simmons drives for two points last Friday night. Thomas Winstead encouraged Louisburg College students to build a strong academic foundation for the future as part of his keynote speech last Wednesday night at the annual LC Scholar-Athlete Awards Ceremony at the Taylor Center. ENGAGED. 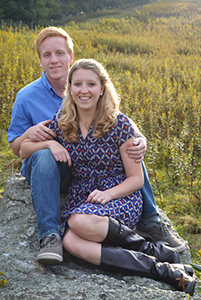 Anthony and Charlene Shannahan of Zebulon announce the engagement of their daughter, Katie Shannahan, to Russell Patton, the son of Jerry and Laura Patton of Garner. The wedding will take place on June 14, 2014 at The Hudson Manor, Louisburg. Best New Year’s goal: Be on guard! If you took my Holiday Stress Class, we talked about the importance of making a list and leveraging Black Friday sales to make the most of your hard earned dollar. Unfortunately, we did not talk about what might happen when you go to a store that has had a security breach with your credit or debit card information. A lengthy, heavily illustrated article that appeared in the Raleigh News and Observer on Sept. 5, 1897, describes the impressive growth that was taking place in Youngsville. Penned by Falconer B. Arendell, who a few years later served as general manager of the State Prison in Raleigh, the article provides interesting details concerning local businesses and the agricultural economy that underpinned the town’s rapid development. Navy Petty Officer 3rd Class Michael T. Moore has graduated from the U.S. Navy’s Enlisted Nuclear Power School at Naval Nuclear Power Training Command in Goose Creek, S.C.
LOUISBURG — A mother and daughter who have made a lifetime out of living Martin Luther King Jr.’s dream urged others not to relegate the slain civil rights leader’s message to the history books — and to make history yourself. 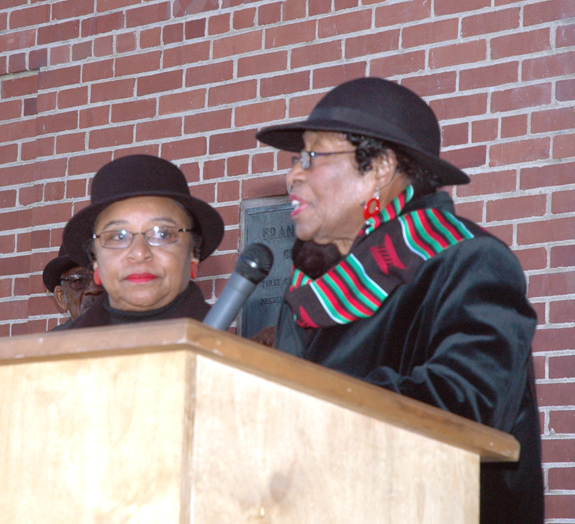 “It’s a day and time to continue Dr. King’s dream,” said Armenta Eaton, as she and her mother, Rosanell Eaton, helped rally residents at the Franklin County Courthouse steps before taking a ceremonial march to St. Paul Presbyterian Church to continue the Dr. King celebration. The Louisburg Town Council agreed to take another step toward improvements at Joyner Park Tuesday night — and also learned that a ground-breaking is tentatively set for early March for a new restaurant. The restaurant, Zaxby’s, is to be built on an outlot on Retail Way beside Murphy Oil in the new shopping center just south of town.